The radical government is not yet in place, but investors are not giving it the benefit of the doubt. Fears of a clash with the EU that forces Italy out of the euro have hit the value of shares and bonds. Party leaders’ reluctance to provide reassurance adds to market jitters. 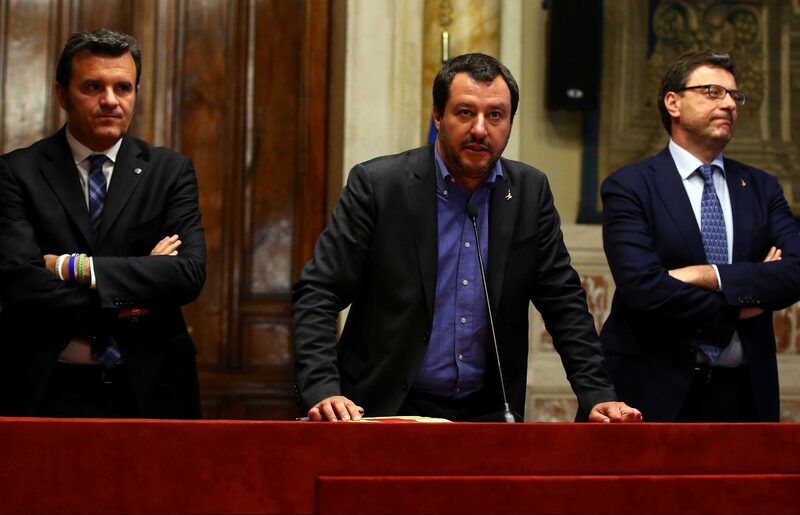 Investors pulled more than $380 million from Italian equity funds in the week ending May 23 following Italian political uncertainty, according to data from financial intelligence group EPFR Global published on May 25. The weekly outflow surpasses the previous record set in mid-2014. Law professor Giuseppe Conte is forming a government backed by the 5-Star Movement and the League. He has yet to reveal the composition of the cabinet, with the parties pushing for the appointment of eurosceptic economist Paolo Savona as economy minister. The index of Italian bank stocks fell to an 11-month low on the morning of May 25. The gap between yields on Italian and German 10-year government bonds reached 200 basis points for the first time in nearly a year. Five-year credit default swaps referencing Italian government debt rose to 166 basis points, the highest level in nearly 12 months.